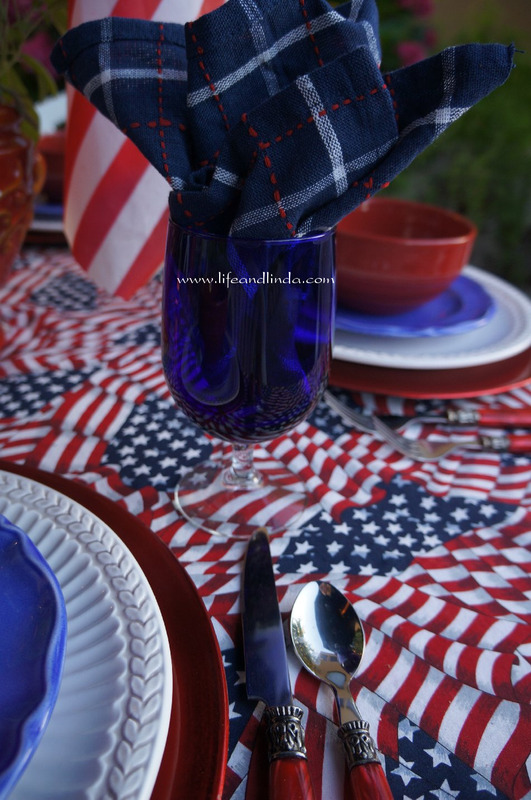 Home / 4th of July / patriotic / tablescape / Hooray for the Red, White & Blue! Independence Day is here, the 4th of July......Commemorating the adoption of the Declaration of Independence on July 4,1776. It is associated it with fireworks, parades, barbecues, carnivals, concerts, family re-unions and baseball games. I set a table in honor of this day. We even have red, white and blue vodka. The pink hydrangeas don't go with this theme, however they are striking this year. Red, white and blue chips, anyone? I bought the french fry holder at home Goods and the liners at Raley's. The chips I got at World Market. 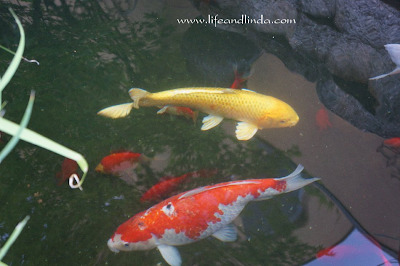 These are some of our Koi fish we have in the built-in pond. It's beyond the fish fountain. I hope you all have a fabulous and safe 4th of July. Thank you for visiting as always. Looks like the makings of a great holiday celebration! Such a pretty and festive table. Thanks so much for visiting leaving such a nice comment and following. I'm now following you. Have a Happy 4th! Happy 4th of July to you! Love all the elements of your table and thanks for sharing where you got the blue goblets... I was missing that element. Your Hydrangea is gorgeous and the fish are so big and I bet fun to watch. 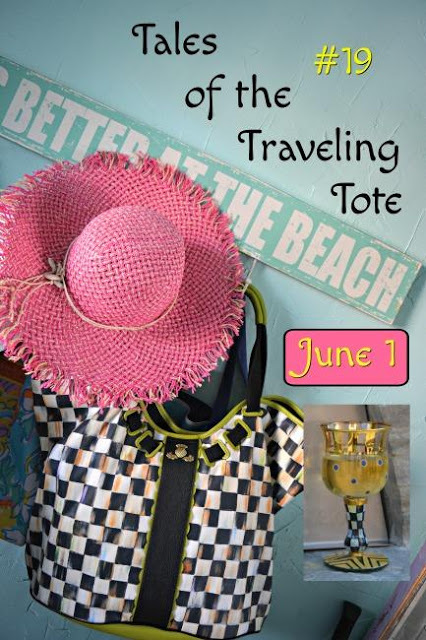 I enjoyed your blog, the table looks great for the holiday.Nice to have you on board at Out On The Prairie. Red, white & blue vodka bottle? Seriously??? That's so fun! It's almost 1:00 here, so I suppose I could partake of a bit of that! :-) Great table with a really fun, vivid table covering!!! I love that fabric! It is SO cool that you are able to maintain a fish pond!!! They would either boil like lobster in summer or freeze like popsicles in winter here!!! Enjoy your holiday!!!!!!! Fun, fun, fun table, Linda! I love the cloth and adore the flatware. I tried to find that style, but couldn't. I found a different one at Homegoods. Love your chips, too!! Love your table. Looks like a wonderful 4th. Very festive looking. Have a great 4th of July. Hi Linda! I love your patriotic table. Love the looks of your pretty flowers in the background too. Oh, how marvelous to have a fish pond! Have a wonderful 4th of July! Your table is fabulous! (but you always do such lovely settings!) Right down to the red, white and blue chips. Thanks for stopping by. I am so envious of your hydrangea plant -- it has so many beautiful blooms. My plants were just put in last Fall. They have some flowers but nothing like yours. 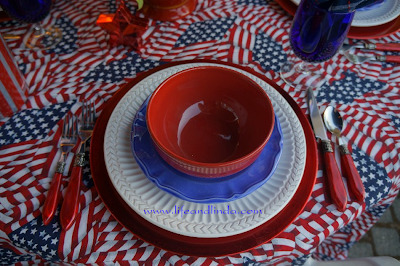 Great patriotic tablescape! Enjoy the holiday. 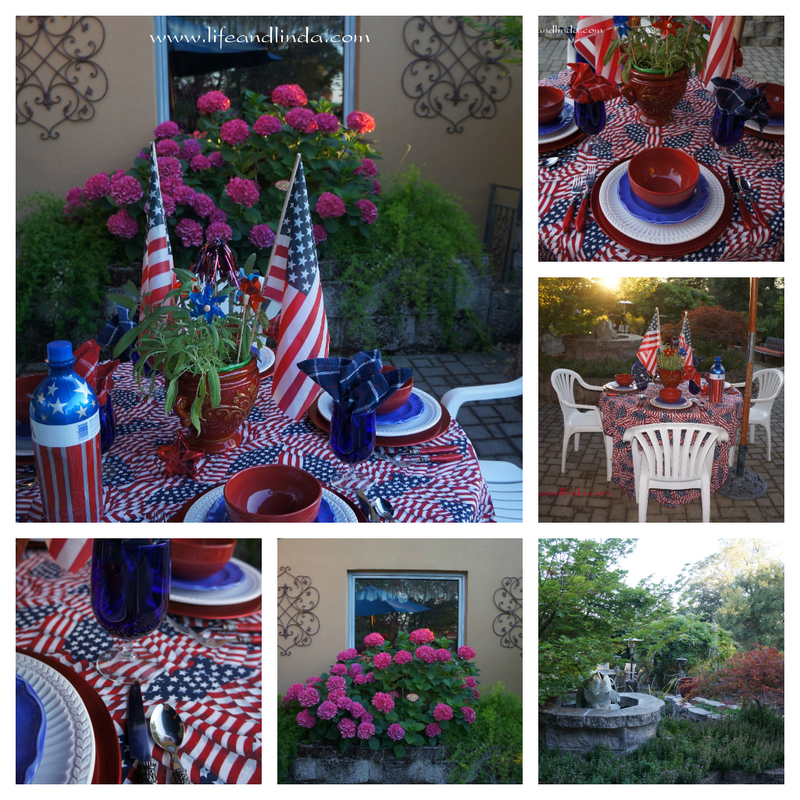 Very festive and I know your children love the festivities too> Ours was a very quiet 4th!!! Linda, looks like you will have a wonderful celebration. I especially liked the red, white and blue chips. 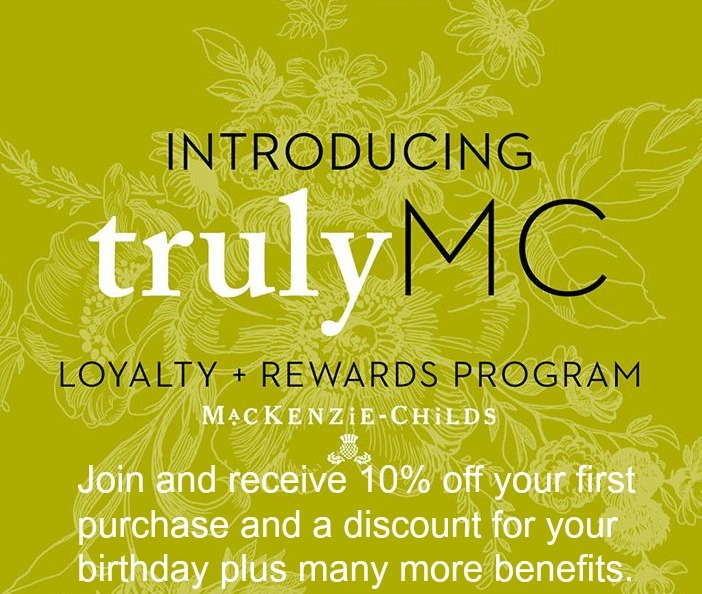 Thanks for the visit and comments on our blog too and glad you liked the name. It's what we've named our home. Love your patriotic table. 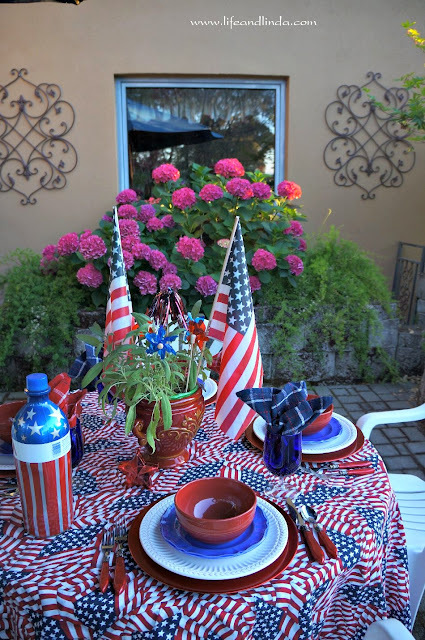 I did not do any July 4 decorations this year, so I really enjoy seeing yours! Lovely tables cape. I can't get over how big your koi are!! Ours are tiny! We lost two of our biggest ones to the dreaded heron last year! Thanks so much for linking up to my first Patriotic Link party! Your table setting looks very festive for today! I hope you have a wonderful day celebrating! Hello Linda! Thank you for following French Hollow. I am now your newest follower. 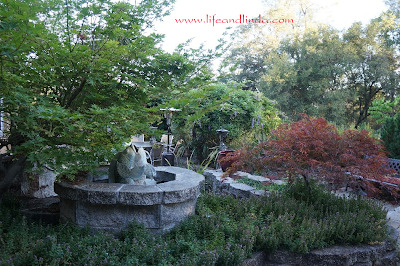 Your tablescape is gorgeous - and your yard is to die for.....I am so coveting the koi pond. 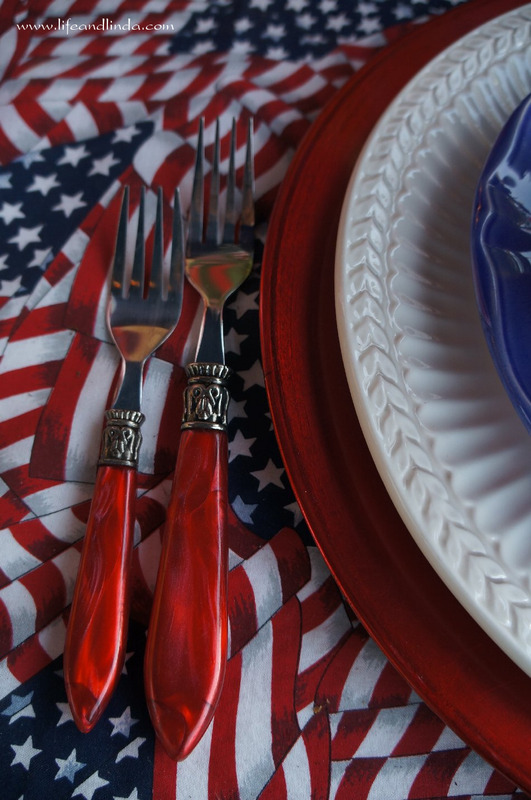 You table looks pretty & perfectly patriotic! Your hydrangea is gorgeous! Beautiful Linda! You captured the holiday spirit perfectly! I didn't know those were french fry holders! Cute idea- and it works just as well for chips! 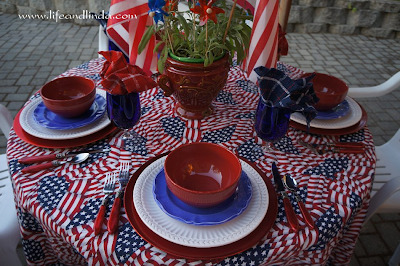 Great tablecloth and the dish stack looks perfect! Your pink hydrangeas do look marvelous! what a beautiful table and decoration! Happy Fourth! You even found red white and blue chips! How special! And I love your silverware! Hope you've had a fabulous day! Linda, your patio and table are simply beautiful! All the bricks make it look nice and cool. I love that flatware with it's lovely silver bits...almost Brighton-esque! I am your newest follower! Your blog is great! What gorgeous home you have! Hi Linda! What a nice setting! The pink hydrangeas are beautiful! I think it would be so nice to have a pond with koi fish. How relaxing it would be to sit and watch them! Blessings from Bama! What a festive table -- and gorgeous setting for it in your backyard! 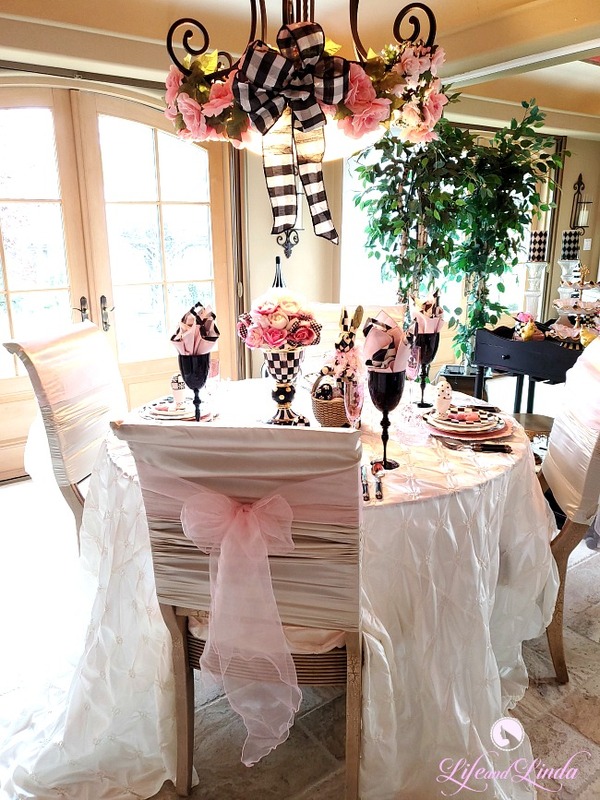 I love that tablecloth, especially! And your hydrangeas are magnificent! Thank you for your visit to my table and your kind comments. Your patio is so beauitful!! Wow!! I love your tribute to the 4th of July...everythings looks so festive and fun! Thanks for linking up and sharing your ideas! Hi Linda. Your table is so pretty! I really love the fabric that the tablecloth is made from. You even have R, W & B chips! How cool is that??? Hooray, indeed! Looks like you had a festive 4th. Love every one of your details. How beautiful -- I LOVE LOVE LOVE that flatware! With the sun setting in the background, made me want to just jump right into the picture and take a seat! Hope your 4th was fun! Your table is so fund and festive! Great fabric on the tablecloth! Your garden and fountain are gorgeous! I appreciate you sharing this wonderful day at Potpourri Friday! 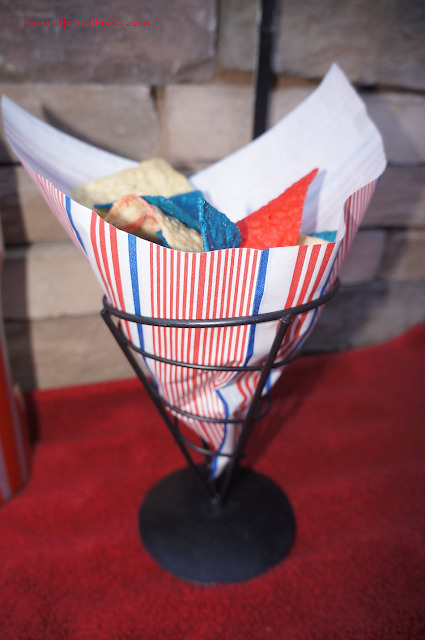 What fun it must be to be a guest of yours, right down to the red, white and blue chips! Gorgeous! 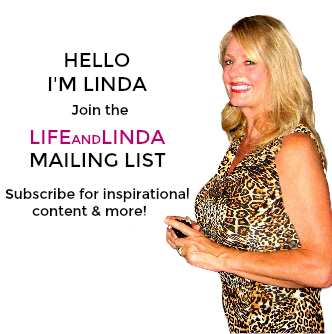 Hi Linda - coming by as promised - love love this!!! I'm following you back! Everything looks so festive! I love your dishes and flatware!!! I hope you had a wonderful 4th! So colorful! Wish I had seen this on the 4th! But, it was an enjoyable visit today! 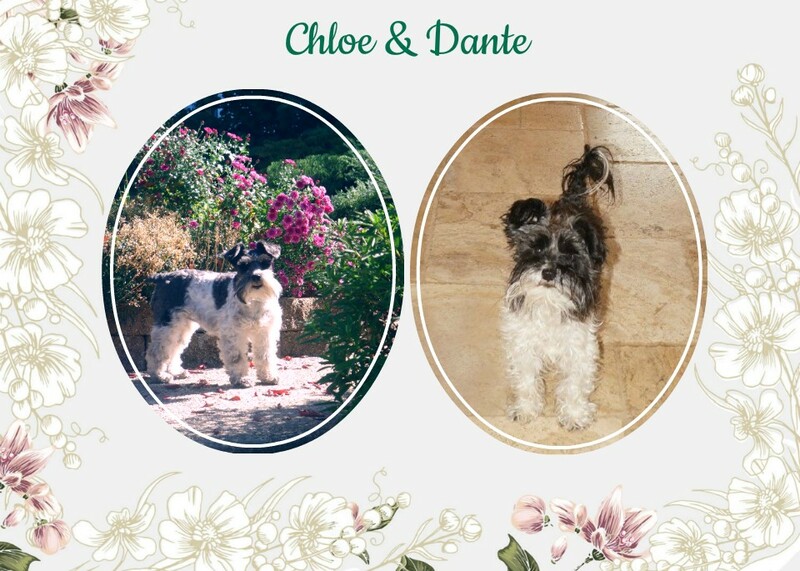 Thanks for stopping by my blog - following you back! 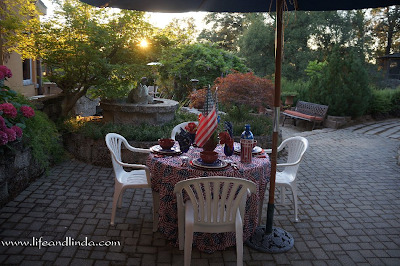 I love your 4th of July setting. There is NOTHING like the Red, White, and Blue!! You have a lovely patio setting with amazing flowers all around. Thanks for visiting me and leaving a comment. I am now your follower. 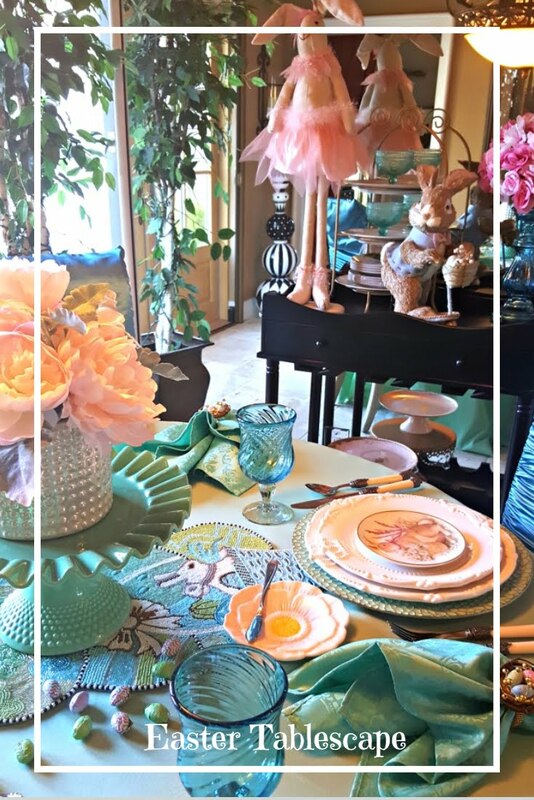 What a great table scape! Love the way you made the chip holders. And your fish are fantastic! Wow! Love how you went all out on this! I am not very creative, but sure can use these ideas for next year! 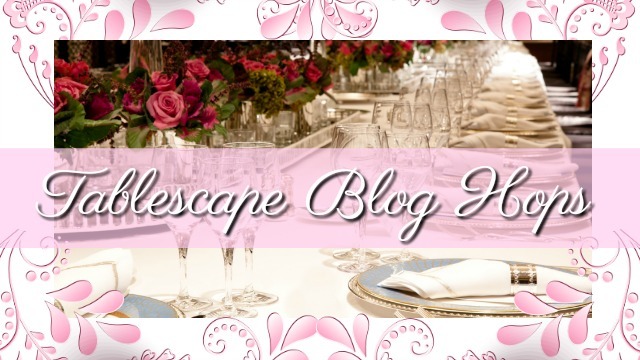 What a fun blog!! Thank you for stopping by to say hello . . . and for becoming a follower, I will be your latest too! I also love July, nothing like a good celebration, and yours looked awesome!! 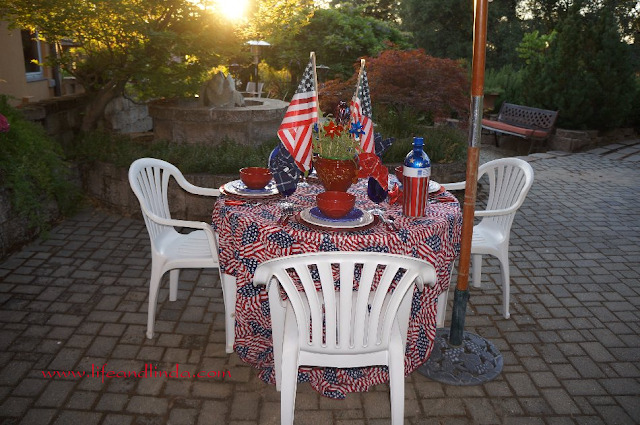 I love your July 4th table -- it's so pretty and patriotic. And I LOVE your pink hydrangeas!! Your patio and back yard flowers are absolutely gorgeous, and they're beautifully maintained. What a fun table! I love the cloth! I'm slow Linda because I have been out of town. Just wanted to say thanks for sharing this festive post. Enjoyed seeing your patriotic table!